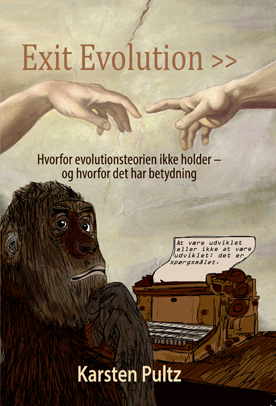 Danish ID proponent: Why I have a problem with Theistic evolution. 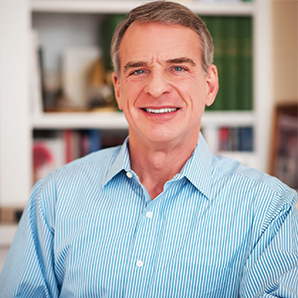 An open letter to William Lane Craig and the proponents of theistic evolution from Karsten Pultz,: author of Exit Evolution, in response to William Lane Craig’s questions around whether Adam and Eve really existed. For 30 years I didn’t believe in a personal God. I was not an outright atheist but was an agnostic leaning just a little towards new age explanations and interpretations of the reality we experience. I had the greatest mistrust in the Bible although I found the New Testament important as a philosophical text. I considered the Bible a collection of myths rather than historical facts. I was raised with a materialistic worldview but happened to experience so much spiritual richness in music, that it made me wonder how scientific materialism could be true. I had no solution to this cognitive dissonance because I, through education and media, had learned that materialism was true. I had no reason to doubt educated men in lab coats and instead put my trust in crazy Bible-thumping Christians. So what was my main reason for believing in scientific materialism and reject the Bible, Christianity, and a personal God? The answer is simple, and I can with great confidence say that this answer applies to most non believers I’ve encountered among my fellow Danish countrymen, and it is EVOLUTION. Darwin’s theory of slow gradual evolution of life by random mutation and natural selection is by far the most important argument for materialism, because it shows how life can be produced by random physical processes without the need for a creator. I and 85% of all other Danes were raised with this belief, and today, in 2018, we see the clear result in the form of empty churches every Sunday. We do not believe in the Bible anymore because it has been overruled by what people believe to be science, and the master over-ruler is evolution. Through the theory of intelligent design I, at the age of 37, learned that the evidence for evolution was not there. I spent four years investigating evolution and ID before I was satisfied that the empirical data was totally in favour of ID and that evolution simply does not fit the evidence. A five-year process, including Bible studies, eventually lead me to accept the Bible as the nearest I, with the limitations of being human, could get to knowing the truth about what we call reality. So I went from being an agnostic because I knew that evolution was true, to being a Christian believer because I, through personal research, learned that evolution is false. A crucial point was realizing that the probabilistic resources would be completely inadequate for random mutations to produce new information. No new DNA information would mean no new proteins and no new body shapes, and hence it would be impossible to get from ape to man regardless of how much time available. And another thing; the irreducible complex morphological system of a tree climbing monkey cannot gradually change into another irreducible complex system, namely that of bipedal walking and running human, it is pure nonsense seen from an engineering perspective. The result would be transitional individuals that could not either climb trees nor walk or run properly—not exactly qualities for natural selection to select from. These revelations were important, because I was now in a position where I could accept Adam and Eve as historical persons. Now some wise guys will tell me that evolution and the Bible can be combined in a belief called theistic evolution, hmmm! They insist that my conversion was not necessary at all, I could just have kept my belief in evolution and at the same time—out of the blue—gained trust in the Bible, Christianity, and a personal God. My goodness! This means that all my cognitive dissonance was in vain because it’s that easy, you just accept the Bible while still believing in evolution. What a moron I am; here I thought that I, as an enlightened science nerd, knew how evolution works, namely by the mechanism of random mutation and natural selection, and now I’m told that evolution was God’s way of creating. Ouch! What do I do now? I came to faith in the Bible because I discovered that evolution was false. I realized that the story of Adam and Eve could actually be historically correct, which was one of the main reasons that I gained trust in the bible. Now proponents of theistic evolution want me to re-accept the belief that we came from monkeys while keeping my faith in the Bible which was achieved through knowing that it is not possible that we came from monkeys, – HELP! As a now very experienced and well educated proponent of ID, I use my knowledge when doing apologetics, simply because ID was my own path to Christian belief. I know from my own life and from the society I grew up in, how powerful evolution is as a supporting pillar for scientific materialism, therefore I find no other way than to start people’s journey toward Christ, by informing them about the falseness of evolution. It’s pure logic; evolution makes people atheists, so debunking evolution must be the first priority when doing apologetics. I find it rather insulting when proponents of TE indirectly claim that I for 30 years simply wasn’t smart enough to reconcile evolution with belief in God. I, on the other hand, will insist that it was precisely because I understood how evolution works, that I was unable to trust the biblical narratives, (one of the few points where Dawkins and I agree). I’m now being attacked by theistic evolutionists in my own country with the claim that I’m doing harm to Christianity by not accepting evolution. So what do I do? 10 years of research into evolution and ID has convinced me and still convinces me that evolution is false. If I was presented with evidence that random mutation and natural selection can produce new life forms I would definitely return to being an agnostic or possibly even outright an atheist. So what will the theistic evolutionists advise me to do? 1) How will you reconvert me to evolution while at the same time not reconverting me to agnosticism? 2) Has 10 years of research into evolution and ID somehow made me less informed? 3) Spending thousands of hours on research, I have seen tons of evidence for ID but not yet seen empirical evidence for theistic evolution, – where do you hide this evidence? 4) Will you claim I was lead to Christ through a falsehood called ID? I gave an ID talk at a bible college where I was met with hostility from the theology students for criticizing evolution. When the talk was over, I was approached by a young man who, through his study of psychology, had lost his faith in God, precisely because psychology rests quite a lot on evolution. The young man said that he was very happy with my talk and that I might just have saved his faith. Think about the irony of that, I was heckled by the theologians for using ID as an apologetic tool, while at the same time I probably saved the faith of a young man who had suffered from an overdose of evolution. See also: Auto mechanic: Berra’s blunder splutters … yet again? Both the non-religious mechanic and the non-religious engineer found it immensely silly that anyone would suggest that the flagellar motor of the bacterium was the result of anything other than engineering. The second one added that the only question left was which engineering school God graduated from. I, on the other hand, will insist that it was precisely because I understood how evolution works, that I was unable to trust the biblical narratives, (one of the few points where Dawkins and I agree). I retain a degree of pity for the TE-ers because on the one hand they want to think of themselves as being good Christian people and on the other hand they want the intellectual respect of the world, and in reality they cannot have either of these. 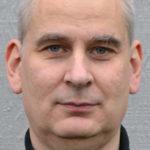 I like to ask TE people, what is the scientific difference between theistic evolution and atheistic evolution? If there is no scientific difference, then the two are the same and TE is just hubris and pretense.